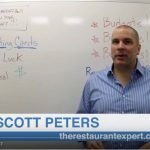 Most restaurant owners who launch or already have a catering division ask me for tips on keeping the costs of their two businesses separate. This is a great question because catering can be a fantastic revenue stream and you don’t want to allow it to support your restaurant. The answer is recipe costing cards keep restaurant and catering costs separate. Your restaurant sells catering. Do know it doesn’t matter if that’s only $500 a month or it’s over $200,000 a month. 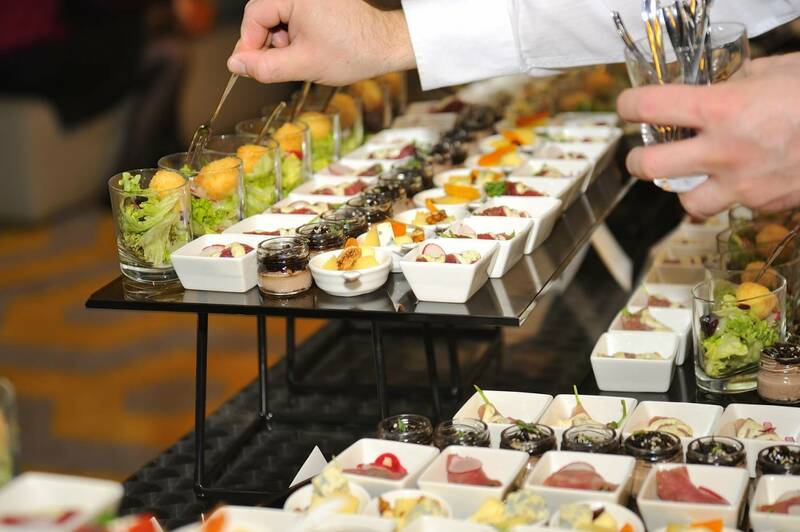 Your restaurant/catering businesses share a kitchen. Your catering food is ordered, delivered to and prepared in the same kitchen as your restaurant. That same kitchen shares the same cooks, coolers, products and equipment. You have recipe costing cards completed for ALL items sold. At least costing cards for all catering items sold. Inventories are taken at least monthly. To calculate your actual food cost requires that you take a complete inventory of your shelves, products and batch items, on a minimum monthly basis in order to calculate your food cost. Step 2: Combine all of your bid sheets for each month by using the bottom-line summary to show total cost and total sales. Again, using the same menu mix analysis, treat each party as if it were one menu item sold. You then will have a total cost of all food used and the revenue generated. Then with a quick calculation of use divided by sales, BOOM, you know your food cost for your catering business independent of the restaurant! Step 3: Calculate your total food cost for the whole business. Next subtract total food cost and food sales from your summarized bid sheets from your overall food cost calculation in your restaurant and BOOM, you will quickly be able to see how your restaurant performed on its own. Obviously there is a little math behind each of these steps, but with a little help from Excel or food costing software, BOOM, you can easily separate your food costs by revenue center and measure how each business performs independently of each other. These recipe costing cards keep restaurant and catering costs separate. This is huge for restaurants that cater, because all too often your catering business hides the fact that your restaurant is bleeding money because your kitchen is being mismanaged. 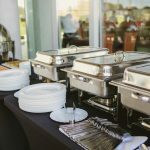 So take control of your bottom line with up to date and accurate recipe costing cards for all menu items, complete a bid sheet for every catering job before you sell it, take inventories at least on a monthly basis, and you will be on a path to understanding and controlling your numbers in your kitchen and in your catering division.